One of my musical heroes, Alex Chilton, has died. His death was apparently caused by a heart attack. Chilton had been complaining of health issues, but was still in rehearsals for a Saturday night appearance at the South By Southwest Music Festival in Austin, TX. To some, Chilton is best known for his time in the 60s pop group The Box Tops ("Soul Deep" "The Letter"), a band he joined at age 16. To others, he is best known for his 70s power-pop band Big Star. The highly influential band was largely ignored at the time, but had a major impact on 1980s alternative music artists like R.E.M. and The Replacements. 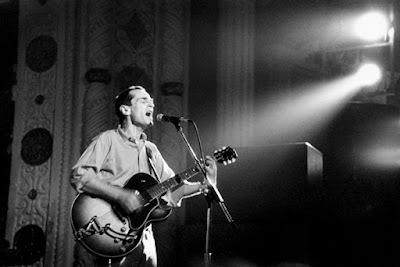 Chilton performed and recorded as a solo artist before Big Star reformed in 1993 with help from The Posies. I was fortunate enough to see Alex perform a couple of times. I saw him play a solo acoustic show in Minneapolis, and saw one of the earlier Big Star reunion shows in Chicago.